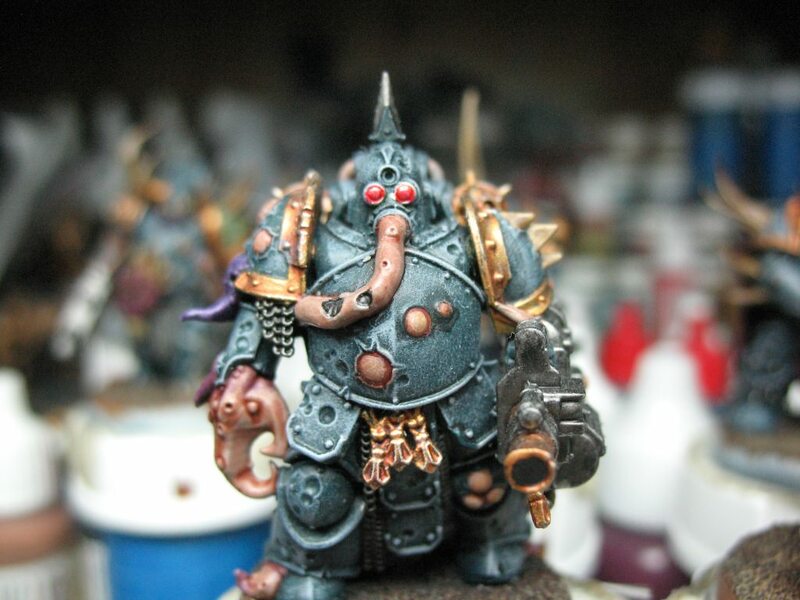 So, a while back I tried to figure out a color for the lenses on my Plague Marines. I decided to try red using the new Gemstone paints from GW. Here is one with just the red over Army Painter Shining Silver. Here is the same, but I tinted it a little with some of the GW yellow wash. I dont know what the problem I am having with them is. Maybe Red isnt the right color? Did I not used the gemstone paint right? I could really use some help. Thoughts? I think they look very good! I’d say you did well. 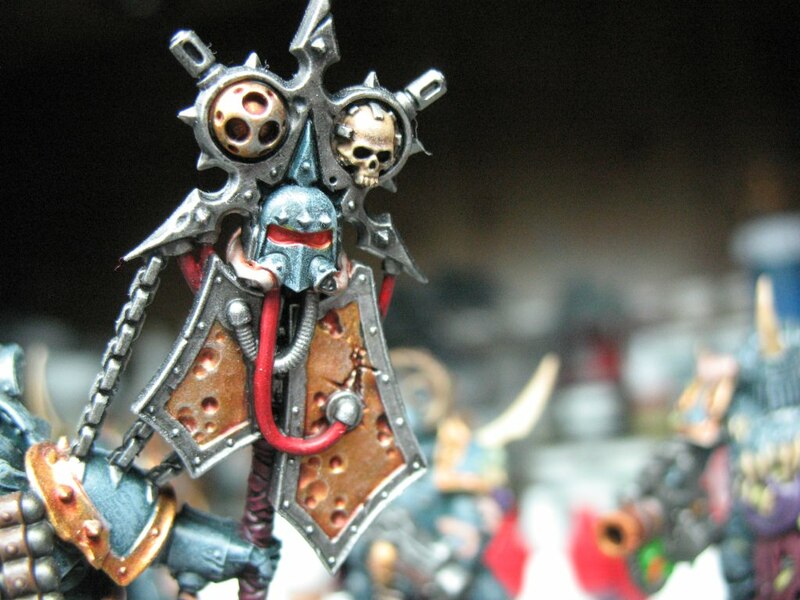 You could try painting them Leadbelcher, give it a Nuln oil wash, then a silver highlight before the gem paint, for more depth...if you want to experiment more. They look good with red. In addition to what Kierdale suggests, you could also try outlining the lenses with a thin black line once you've painted the red. That should add some more contrast and definition between the red and silver. 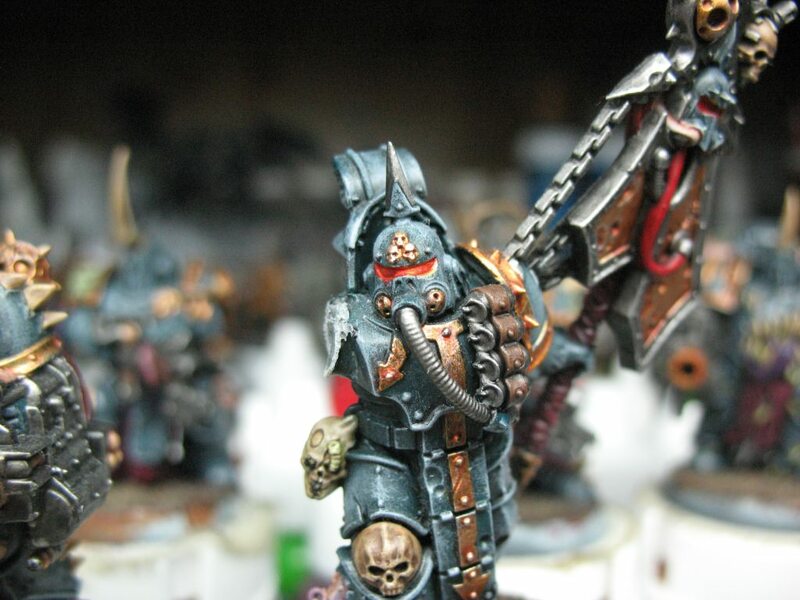 Liking the alternative colour of the armour by the way - very different - in a good way. Certainly looking better than my attempts on lenses! I think the addition of the black line to add some contrast and separation is a good idea. Red is a nice spot colour for your armour recipe, so that was the right choice. I just don't think the gem paints are the right way to do the eyes. 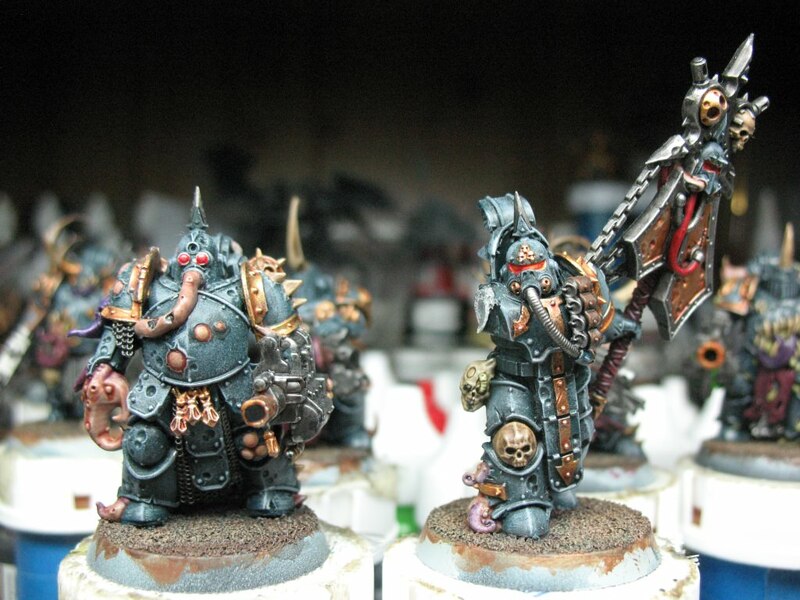 If I were you I'd try the more traditional route: Khorne red as a base colour. Wazdakka in the corners, troll slayer orange to highlight those corners, and a white dot I the other corner. Edited by Augustus b'Raass, 27 May 2018 - 12:17 PM. If you want a deeper red with the Gemstone red have the underlying metal be a gold and not a silver. From my limited experience with the gemstones paints, a second thin coat of the gemstone paint can help. It does reduce the 'gemstone' effect a bit but it can make it more intensive. With the gemstone paint, sometimes you have to give it multiple coats to really deepen the color. Too much, though, and it ends up like simple red gloss paint. Undercoat with a bright red, like Evil Suns Scarlet. Thick coat of Blood for the Blood God, pooling around the edge with only a light coat over the center. Clean up the rim of the lens with base armor or metal color. Light wash of Nuln Oil around the edge, pooling between the rims and edge of the lens but avoiding the center. Legion of the Ashen Choir. My Death Guard army.